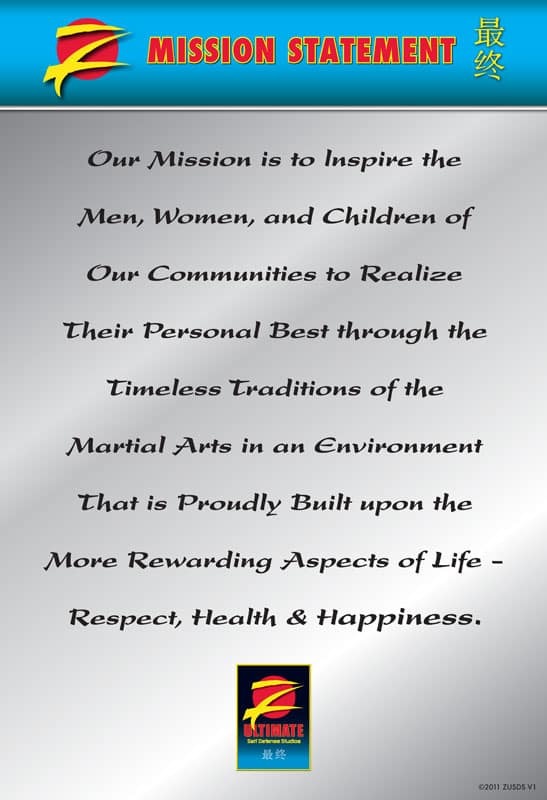 Our Mission is to Inspire the Men, Women, and Children of Our Communities to Realize Their Personal Best through the Timeless Traditions of the Martial Arts in an Environment That is Proudly Built upon the More Rewarding Aspects of Life – Respect, Health and Happiness. Our style of Ultimate Kenpo is a dynamic blend of Karate, Kung Fu and Jiujitsu, with a strong base from Okinawan Kenpo. Kenpo (also spelled Kempo) is a unique system; it is one of the original “mixed” martial arts. When we say “mixed” martial arts, we are not referring to the widely popular and exciting sport of mixed martial arts, or MMA as it is known. MMA is a sport, based on techniques taken from other combat or “martial” sports, like boxing and wrestling, combined with different parts of other martial arts styles. There are weight classes, rules, safety equipment and other things that make it different from the martial arts. The Karate influence is present in the linear, power oriented techniques; wider, stronger stances and traditional Japanese katas (forms) and training techniques. The Kung Fu influence is evident in the circular, blending techniques. Also present are the five animal styles and their unique physical movement characteristics and principles, which allow for adaptation of different body styles in training. Jiujitsu is reflected in the trapping or hand immobilization, joint manipulations and variety of throws and takedowns intertwined throughout our defensive techniques, allowing for smaller opponents to unbalance, control and take down larger opponents. The most popular legend regarding Kempo is that it can trace its lineage back to the Shaolin Temple of China. The Shaolin Temple was founded around 527 A.D. and legend has it that a warrior monk from India crossed the mountains of Tibet into China and arrived at the Shaolin Temple. Here, this monk – named Bodhidharma – is said to have found the monks in such terrible physical condition that he began training them in his warrior ways to improve their physical conditioning and ability to protect themselves. It is said that from generation to generation, that knowledge has been passed on by the Shaolin Monks. Some say that as monks left the Temple and traveled throughout Asia, into Japan and Okinawa, that the teachings were changed and modified by people as they were passed down, producing the multiple styles of martial arts throughout the world today. It is simply impossible to verify for sure if there is truth to these stories. Because we can’t confirm or deny these legends, Z-Ultimate is not comfortable passing them on as fact. This student was William K.S. “Thunderbolt” Chow. Chow was half-Chinese and some Kempo legends state that he was taught his family’s Chinese martial arts style and that was how Kempo gained its Shaolin and Chinese influences. While none of this can be proven true, what is true is that Chow would eventually leave his Master and go on his own, forming his own Kempo style that he referred to as Kara-ho Kempo. 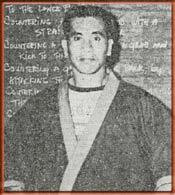 Chow would be responsible for training some of the most influential Black Belts in Kempo history and, as Chow had left his master to “branch out and grow” his style of Kempo on his own, so did students of Professor Chow. As these students “left the family”, they took what they learned, added or modified the style as they saw fit, and passed it on. As these martial artists evolved and expanded the family, Kempo made its way from Hawaii to California to New England. It was in one of these families of Kempo that a man named Nick Cerio began his training. Cerio had a previous background in boxing, judo and tae kwon do before starting his training in Kempo in 1961. By the late 1960’s, Cerio had earned his Black Belt in New England. He decided he wanted to return to the roots of Kempo, so he traveled to Hawaii and began training directly with Professor William Chow,considered one of the founders of Kempo and widely credited with spreading the art. Professor Cerio went on to become a legend and one of the most influential masters of Kempo in the martial arts. He trained in or earned high ranks in multiple styles of martial arts: Karazenpo Go Shinjutsu, American Kenpo, Hakkoryu Jujistu, Okinawan Karate, Sil Lum Kung Fu, Shotokan, Kyokushinkai and Judo. Like many of the martial artists who descended from the forefathers of Kempo, Professor Cerio took what he had learned from the many martial arts masters and combined it into his own system of Kenpo, calling it Nick Cerio’s Kenpo, or Cerio Kenpo. 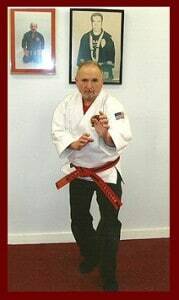 Professor Cerio, through his innovation and life-long dedication to the martial arts, helped to spread Kenpo throughout New England, indirectly launching the martial arts careers of thousands and thousands of martial artists, through his own schools or family offshoots of his Kenpo style. To understand and appreciate how Z-Ultimate has decided to honor our family lineage of Kenpo, it is important to understand the history of two men. In 1971, these two men – Joseph Nesta and Paul Taylor – began their training in one of the offshoots of Kenpo that had come to New England via California and Hawaii. This started a ten year journey with Professor Cerio that culminated with Professor Cerio promoting Shihan Nesta to one of the highest ranks ever awarded in Cerio’s Kenpo and hand-picking Shihan Nesta as the man to take over Professor Cerio’s association. Sadly, Professor Cerio passed away in 1998. 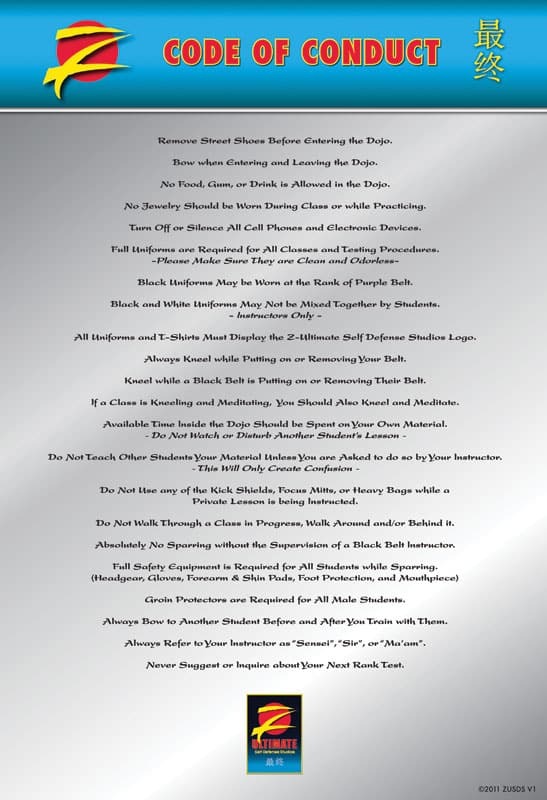 Shihan Nesta would go on to earn his 10th Degree Black Belt from 10th Degree Black Belt Larry Garron. By 1986, Paul Taylor was a high-ranking Black Belt and moved from New England to California, beginning a journey that would touch literally thousands of future Kenpo martial artists. He was a key figure in building one of the largest martial arts organizations in the United States, with locations spanning from coast to coast. 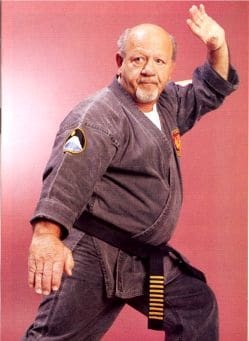 He was also instrumental in enrolling, teaching and producing thousands of martial artists and hundreds of Black Belts – many of whom are still teaching and spreading Kenpo around the country to this day – by creating the largest Martial Arts Instructors College ever. Taylor also created, organized and managed the largest one-day martial arts tournament on the West Coast, which has been in existence for almost twenty years and still goes on to this day. Taylor was also responsible for the organization and successes of two record breaking events involving the Shaolin Temple of China’s Shaolin Monk Demonstration Team. In both instances, the Shaolin Temple reported the largest crowds they had ever performed for in North America. 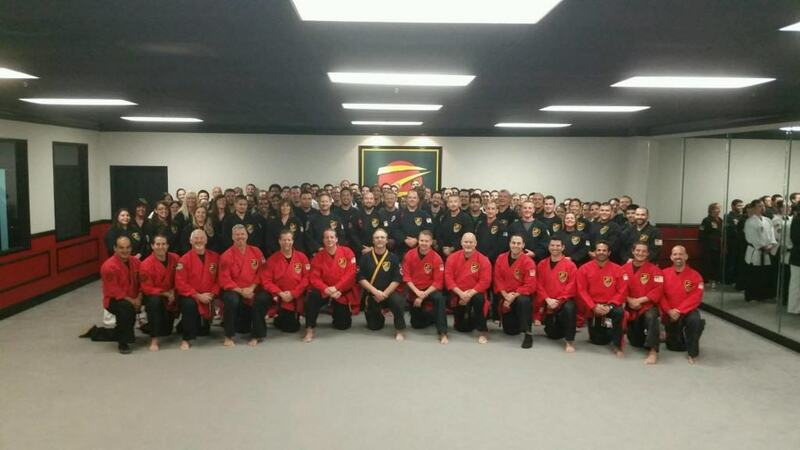 In perhaps one of his proudest accomplishments, Taylor was acknowledged as a “True Kenpo Master” personally by Professor Nick Cerio in a ceremony in Southern California. Taylor went on to coordinate and administer Professor Nick Cerio’s International Martial Arts Association during its most successful period of membership. Taylor was promoted to his 8th degree Black Belt in 2001 at the legendary Shaolin Temple of China. In 2010, Shihan Taylor was promoted to 9th Degree Black Belt with Shihan Joseph Nesta as a witness. In 2012, Shihan Taylor was promoted to rank of 10th Degree Black Belt and given the title “Grandmaster” by 10th Degree Black Belt and Grandmaster Shihan Joseph Nesta. By 2010, Shihan Paul Taylor, now a 9th Degree Black Belt, is the Senior Master for Z-Ultimate Self Defense Studios. 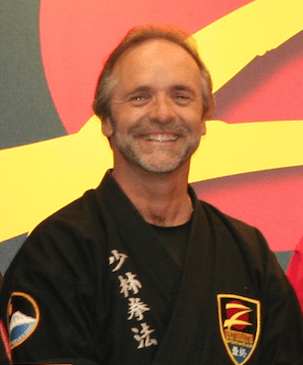 To honor and strengthen his connection to Professor Cerio in the Kenpo family lineage, Shihan Taylor thought it was important to connect with the person who was the most knowledgeable and closest to Professor Cerio prior to his death. To accomplish this, he reached out to 10th Degree Black Belt Shihan Joseph Nesta, (who, after Professor Cerio’s death, went on to train with other masters and earn his 10th degree Black Belt) who agreed to become a martial arts advisor for Z-Ultimate Self Defense Studios, “closing the loop” in modern Kenpo history and honoring our lineage to Professor Cerio. Our system of Ultimate Kenpo is a dynamic blend of Karate, Kung Fu and Jiujitsu with historical origins dating back thousands of years. Z-Ultimate believes in taking the martial arts and using it as a vehicle to develop and bring out the best in you. 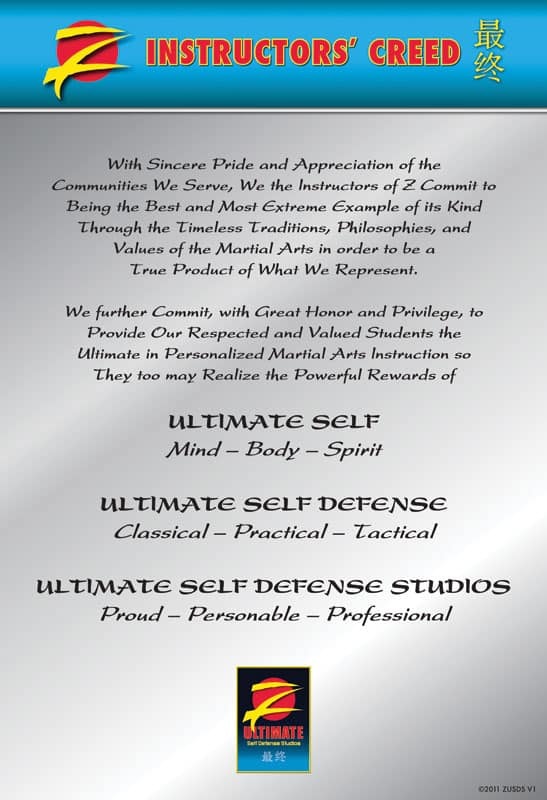 Your “Ultimate” mind, body and spirit is achieved through a collection of Classical, Practical and Tactical values, philosophies and blended applications, all carefully designed and defined for all age groups by Grandmaster Taylor and the Z-Ultimate Board of Masters. Through our exclusive “Dynamic Master Method” of instruction and personalized “TNT” – Teach and Train – strategies and curriculum, you will be both enlightened and empowered while enjoying the most comprehensive, versatile and effective form of martial arts training available today.